There’s a deep melancholia emanating from Palm Ghosts’ latest single. Electronically magnetic and emotionally heartfelt, “Insomnia” captures the cold fragility of humanity, of two souls going their separate ways in the night. 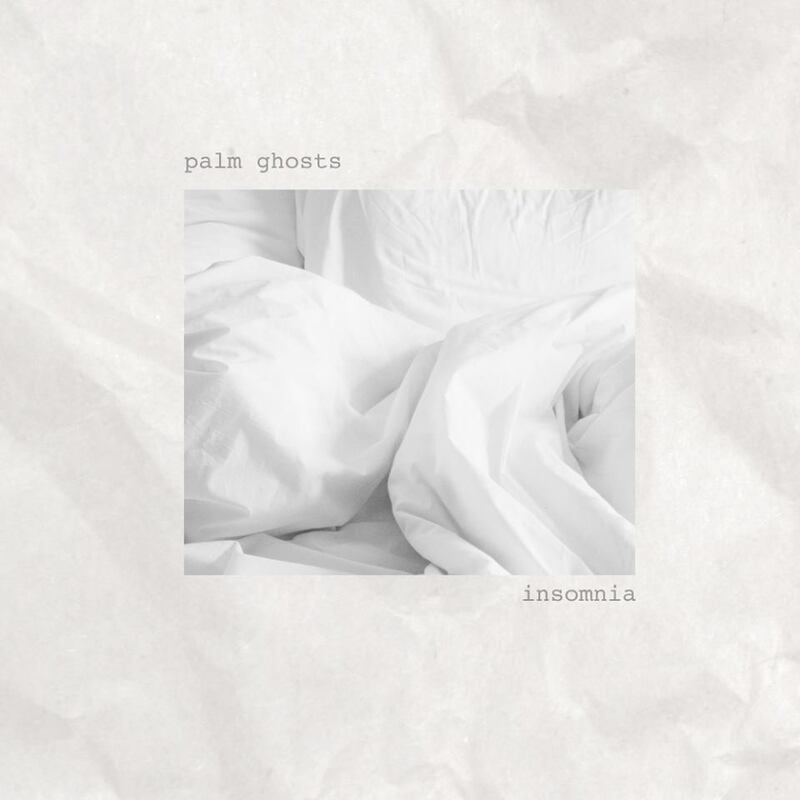 Atwood Magazine is proud to be premiering “Insomnia,” the latest single from Palm Ghosts. The nom de plume for East Nashville by way of Philadelphia songwriter / producer Joseph Lekkas, Palm Ghosts offers a stirring mix of folk writing with electronica-tinged production. Active since 2013, the project began as a way of channeling and abating crippling anxiety and depression. Earlier this year, Palm Ghosts released his beautifully poignant full-length debut Greenland. Palm Ghosts’ next project, Architecture, is an indie electronic EP celebrating the lush sounds and cinematic arrangements of the 1980s, bringing on vocalist Sam Sharp to help carry forth his vision. Together, their voices echo in haunting chambers of solitude. The weight of the world falls heavily on this song. “‘Insomnia’ is about two lovers who have grown apart and are sleeping through their relationship,” Lekkas explains. “It’s the point in a failing relationship when passionate arguments turn to apathy. Modern technology can also play a role in the dissolution.” Here it is: The bitter end of that which was once the most important and most wondrous thing in the world. How fitting to honor it with subtle, numb guitar riffs atop vibrant chord changes. We feel this duality – a push and pull – emanating from the song’s core; there is this bitter attempt to appreciate what once was, while acknowledging its lackluster end. It is a bad night for one who waits on sleep to take them away. Yet in expressing these profoundly dark feelings, Palm Ghosts is able to convey one of the most touching aspects of humanity: Everything must eventually come to an end. It is not pretty, nor is it always wanted; but it is necessary. A door must close in order for others to open, thus we feel the cyclical nature of all things. Resonating with longing and deep, indulgent sadness, Palm Ghosts’ “Insomnia” bids farewell to that which once was, but will never be again.